CLOSED FOR WINTER was exactly the kind of read I hoped it would be. When I picked up this book, I was in a bit of a reading slump, looking for a slow-burning Scandinavian crime novel to pull me out of it. This book absolutely did the trick! CLOSED FOR WINTER is detailed and immersive, making great use of the author’s personal experience to craft a true-to-life and methodical police procedural. This book is part of Horst’s William Wisting series, but I had no trouble reading it as a standalone. It was my first William Wisting read, and I definitely plan to continue with this series in the future. CLOSED FOR WINTER is set in Norway, with its central crime occurring in a community of summer cottages at the mouth of a fjord. A local man is closing up his cottage for the winter when he makes a shocking discovery: the body of a man he's never seen before, brutally beaten to death. Police Inspector William Wisting has seen plenty of dead bodies in his career, but something about this case gets under his skin. The more he learns about the crime, the more he’s convinced it might have larger implications—and the more concerned he becomes that someone in his daughter’s life might be involved. If you love police procedurals, you will thoroughly enjoy CLOSED FOR WINTER. My favorite aspect of this crime book was how true-to-life the story’s investigation seemed. The author worked in the police for years before turning to crime writing, and his professional experience is the driving force behind this story. CLOSED FOR WINTER delves into the processes and methods behind police work, and draws the reader into a methodical and detail-oriented investigation. Another angle of this story worth discussing is the main character himself. I read in an interview that Horst hoped to create a protagonist who wasn’t the stereotypical “loner cop” who is so often portrayed in crime novels—instead, he wanted to write about a main character who more accurately represented the officers he previously worked with: individuals who were loyal, selfless, and team-oriented. William Wisting is absolutely that kind of character. Now, I absolutely love the “loner cop” stereotype (hello, Harry Hole! ), and it did take me a little bit to warm up to Wisting, but I ultimately found it refreshing to read about a good man just trying to do his job the best he can. Last but certainly not least, I was pleasantly surprised by the role Wisting's daughter Line plays in CLOSED FOR WINTER. As the story develops, Wisting begins to suspect that his daughter might be in danger, and that someone in her life might be close to the story's central crime. Readers get to know Line as the book progresses, and I found her to be very sympathetic and engaging—she brings a welcome dash of heart to a story that’s otherwise very investigation-driven. It’s worth noting that this book centers on a topic that’s pretty unusual for one of my reads—no spoilers (I promise! ), but this book delves into organized crime. Wisting travels to Eastern Europe, in pursuit of criminals who are working across international borders. This topic might not appeal to everyone—I’m the first person to admit, I typically shy away from crime novels with this kind of premise, but I’m really glad that I picked this one up. All in all, I recommend CLOSED FOR WINTER for readers looking to be immersed in a detail-oriented police procedural. 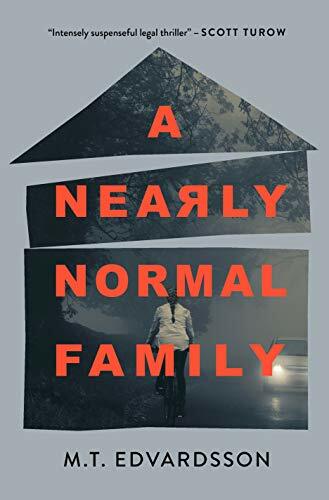 If you're looking for a character-driven or twisty-turny mystery, this won't be the book for you; if you're looking for a slow-burning mystery you can sink your teeth into, this might be perfect. This book suited exactly what I was looking for when I picked it up, and I look forward to reading more in this series in the future! Big thanks to my friend Kristian for recommending this author to me!